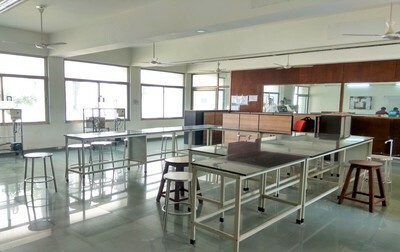 The Department of Mechanical Engineering is the REFLEX of GPERI. 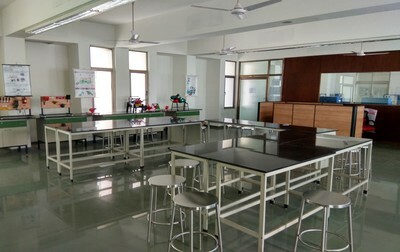 The Department strengthens with well experienced faculty members and lab assistants involved in teaching and research. 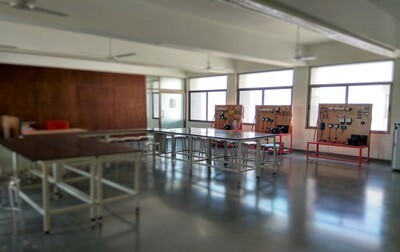 The department offers opportunities to its student to carry out education in following areas: Thermal and Fluids Engineering, Design, Manufacturing, Industrial Engineering etc. 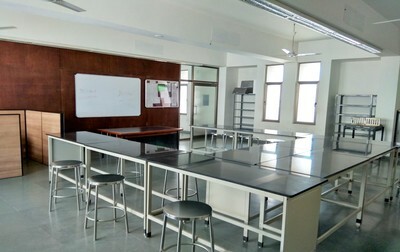 Apart from the classrooms the department has state-of-the-art laboratories with all high-end tools and equipments to facilitate practical experience. 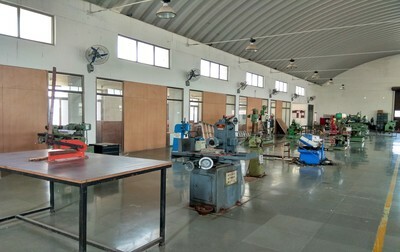 Mechanical Engineering is one of the broadest and oldest branches of engineering. 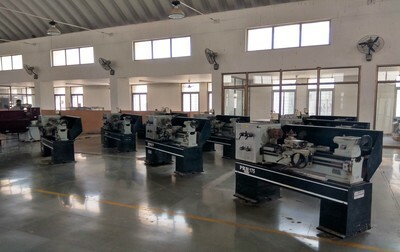 It involved with the design, analysis, testing, manufacturing, control, operation, and maintenance of mechanical systems – wherever, the systems have a moving part. Mechanical systems can vary greatly in complexity and magnitude from the valve in an articial heart to a car engine to a mammoth nuclear power plant. The department’s endeavor has always been to enhance the industry-institute relations and concurrently gure out solution for critical technology avenues of Mechanical Engineering. 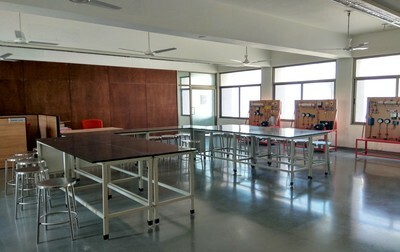 The department has MoUs with many industries and organizes seminars / symposia for professional interaction. 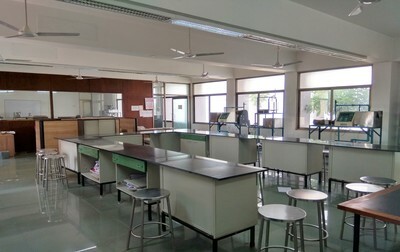 The Department contributes to the interdisciplinary academic and research activity of the institute. 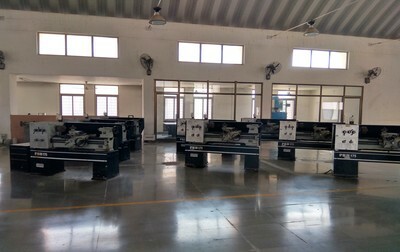 Our goal has always been to train the budding Mechanical Engineers by various advanced tools and techniques of the profession. 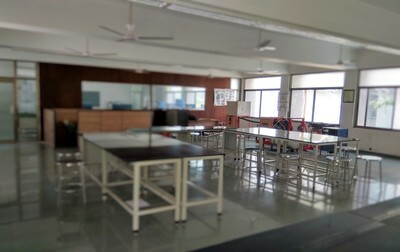 The faculty, through constant endeavor, updates the existing courses which help in imparting the latest technical knowledge to the students. We have membership of Indian Society for Technical Education and Indian Society of Heating Refrigeration and Air Conditioning Engineering. 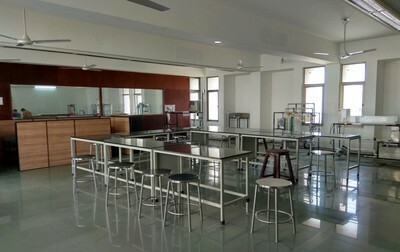 We are committed to provide research and testing facility in the renewable energy like solar energy. 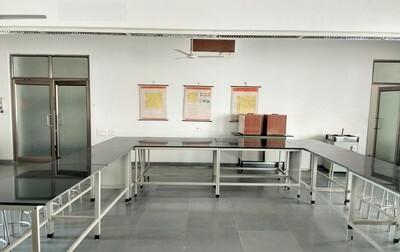 The department has solar research facility with 10 KWp captive solar power plant and 500 LPD solar water heater. 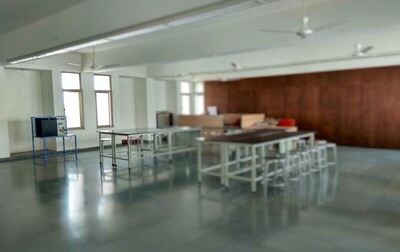 I wish the student of mechanical engineering to be GOAL specic. Better choose the specialization, than the company for your career development. Rajesh J. Patel & Dr. Pragnesh Brahmbhatt, "A Technical Review of Performance of CNG Direct Injection in spark ignition engine" International Journal of Advance Engineering and Research Development, Volume-1, Issue-11, November-2014. Delivered expert Lecture on “Various methods of CNG Injection in S.I.Engine", at L.D.R.P -ITR, Gandhinagar on September 22, 2015. 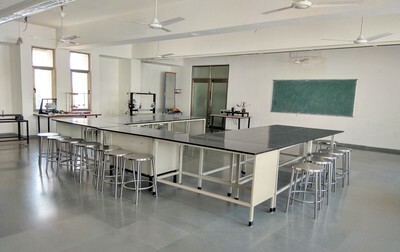 Pandya, B., Kumar, V., Matawala, V., Patel J. (2017). Performance Comparison and Thermodynamic Optimization of Solar Powered LiBr- H2O and NH3-H2O Absorption System for Residential Cooling. 6th International Conference on Advances in Energy Research, 12-14 December, IIT-Bombay. (Accepted). Kumar, V., H. Shah, and P. Patel. 2015. Effects of Thermal Barrier Ceramic Coatings and Different Nozzle Configurations on Emissions and Performance of diesel engine at variable injection pressure and Timings. 5th International Conference on Advances in Energy Research IIT-Bombay, Paper 110: 498–504. Kumar, V. Modeling for Combustion Analysis of Diesel Engine fuelled with blends of Waste Edible Oil. Elsevier’s 7th International Conference on Applied Energy 2015 Abu Dhabi-UAE, Paper no. 252. Kumar, V., A. Swarup. A Review study on combustion, performance and emissions Characteristics of C.I. diesel engine fuelled with waste edible oil. National Conference on Recent Trends in Chemical Sciences, Engineering and Technology, 29-30 May, 2014 conducted by National Institute of Technology, Hamirpur. 9th International Energy, Exergy and Environment Symposium, Split, Croatia. Thermal analysis and Calorimetery, Taylor & Francis. Faculty Advisor- Society of Automotive Engineers (SAE), GPERI Collegiate Club, World Institute of Nuclear Security (WINS), Vienna. 1.10th International Conference on Computational Heat, Mass and Momentum Transfer 2017 (ICCHM2T) Seoul, South Korea. Upadhyai R. P., Dhanawade A., Kumar S., Kalmekar R. (2017), “An Experimental Study of Kerf Properties of PZT Ceramic Machined by Abrasive Water Jet Machining”, Journal of Manufacturing Engineering. Performance Comparison and Thermodynamic Optimization of Solar Powered LiBr-H2O and NH3 -H2O Absorption System for Residential Cooling. 6th International Conference on Advances in Energy Research 2017. 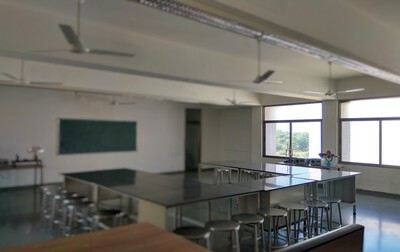 IIT Bombay. Dec. 2017. Thermodynamic analysis and optimization of single effect LiCl-H2O absorption refrigeration system. Proceedings of National Conference on Thermal Fluid Science and Tribo Application-2016. 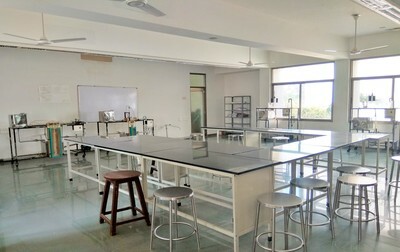 Pp no-229-36, ISBN: 978-93-5265-440-6, S.V National Institute of Technology, Surat. Thermodynamic Evaluation of Generator Temperature in LiBr-Water Absorption System for Optimal Performance'. Recent Advancement in Air-conditioning and Refrigeration: RAAR 2016., pp. 312-322, Nov 2016. Exergy Based Analysis of LiCl-H2O Absorption Cooling System', Recent Advancement in Air-conditioning and Refrigeration: RAAR 2016., pp. 302-311, Nov 2016. Member of The Indian Society of Heating, Refrigerating and Air Conditioning Engineers (ISHRAE). Prof. parin Patel attended one week Continuing Education Programme on "Finite Element Methods" organized by SVNIT Surat 2-6 Jan , 2017. Prof. Parin Patel attended one day training on " Innovation: From Idea to Market Place " organized by AMA on june 14, 2017. Prof. Parin G Patel had undergone 3 month Task Based Training ( TBT-2017 ) program under IIT Bombay E- Yantra lab. 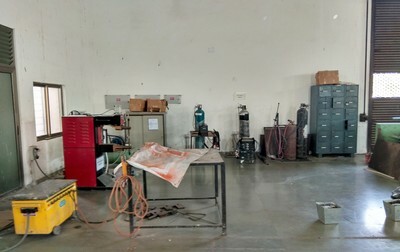 Jay Patel, Niraj K Shah, Ananta K Sahu "Sizing and layout of piping and valves for coldbox system of helium refrigerator/liquefier at Institute for Plasma Research." National conference on Thermal Fluid-Science and Tribology Applications 2016 at SVNIT, Surat. Prof. Rahul Patel attended 4 days Faculty Development Programme on "Design Engineering" organized by GTU, Chandkheda from 31st July to 3rd Aug. 2017. Published a paper entitled as“ Thermal & hydraulic characteristics of laminar flow in Mini- channel for Electronic cooling - Review” in the International Journal of Innovative Research in Science, Engineering and Technology, ISSN: 2319-8753 . Volume 3, Issue 2 during February 2014. Published a paper entitled as “A Review on Thermal characteristics of single and two-phase flow in Mini channel for refrigeration” in International Journal of Current Engineering and Technology, ISSN 2347 – 5161, Volume 8, Issue 2 during April, 2018. Presented a research paper entitled as “Experimental & thermal analysis of Mini channel heat exchanger for Electronic cooling” at 5 th International and 41 st National conference on Fluid mechanics and Fluid power 2014 at IIT Kanpur. Performed a role of ACPC public speaker for online admission procedure. Invited to review a research paper of ASME (American Society of Mechanical Engineers) conference entitled as “ Performance of Heat pump driven two stage desiccant plates dehumidifier for residential application in humid climate” IMECE 2017, Tampa, Florida. P.Mehta, S.Shamddar, P.Patel, B.Markam, S.Maiti “Design and performance analysis of a mixed mode tent-type solar dryer for fish-drying in coastal areas” Solar Energy, 170, pp.671-681, 2018. P.Mehata, R.Jhala, A.Harichanadan “Design and Mathematical modeling of Mixed Mode Solar Dryer Applicable for Small Scale Application”, 2nd International Conference on Technological Innovations in Engineering and Management (ICTIEM-2018) (ISBN-978-81-932966-8-4) during February 26-27, 2018 at DIEMS, Aurangabad. P.Mehata, R.Jhala, A.Harichandan “Design and Mathematical Modelling of Indirect Solar Dryer for Small Scale Application” 3rd International Conference on Innovative Design, Analysis & Development Practices in Aerospace and Automotive Engineering (IDAD-2018) (Springer Publication) during February 22-24, 2018 at VEL Tech University, Chennai. 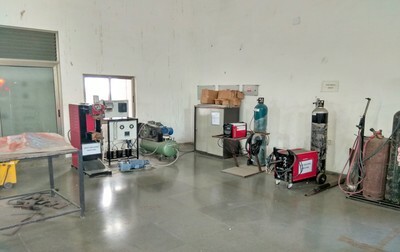 The laboratory includes various models and charts of different faculties like I. C. Engines, Steam Boilers, Automobile components etc. 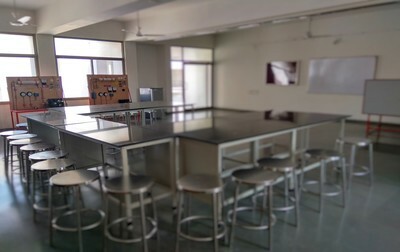 to impart the knowledge of the subject to students. 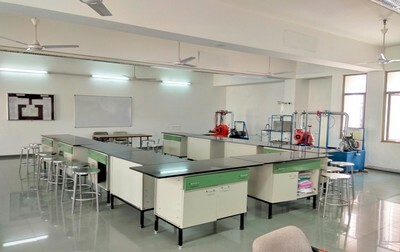 The laboratory is well equipped with all most recent experimental setups like Pelton, Francis and Kaplan Turbine Test Rigs, Centrifugal and Reciprocating Pump Test Rigs, etc. to cater the requirements of course. 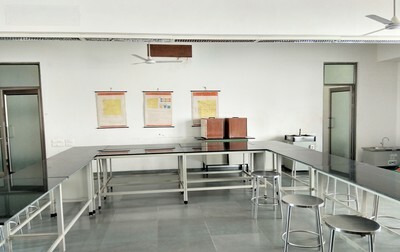 The Laboratory is fully equipped with all the instruments related to measurement of Flow, Velocity, Friction Factor and Reynold’s Number etc. 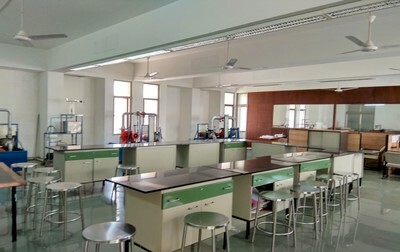 The lab test the fundamental principals of uid mechanics. 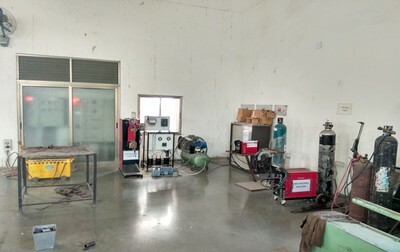 It is well furnished with all equipments to carry out performance test on single cylinder 4- stroke Petrol Engine as well as to carry out Morse test on four cylinder 4-stroke Petrol Engine. 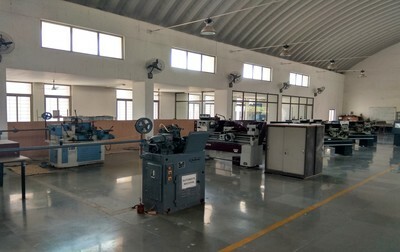 The lab has simulation models of various parts and systems of IC engines. 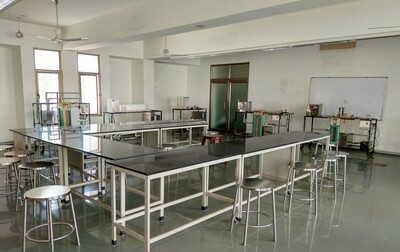 The Laboratory has various instruments contain basic to advance instruments, Metallurgical microscope, mufe furnace, Jomieny-end quench test, ne and rough polishing machine, sieve shakers. 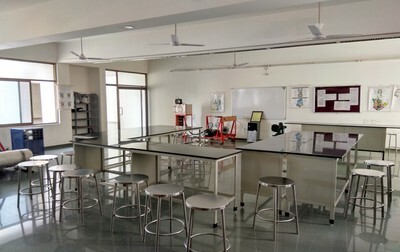 The Laboratory is equipped with Vernier Calliper, Bevel Protractor, Sine Bar and Slip Gauges, Spirit Level, Combination Set, Surface Roughness tester etc.. to carrying out experiment and measures for Linear, Angular and Surface Roughness Measurement of different work pieces with different geometries. 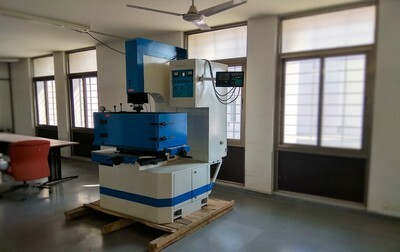 GPERI is having ultra-modern workshop & machine shop facilities including Heavy Duty Lathe, Shaper Machine, Tool & Cutter Grinder, Single Spindle Automate Machine, Capstan Lathe etc. 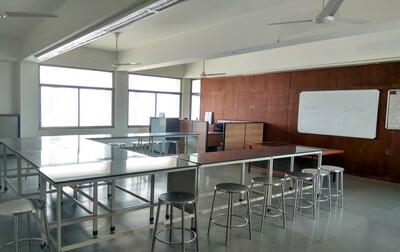 for carrying out student’s job preparation work, project work and research & consultancy work. 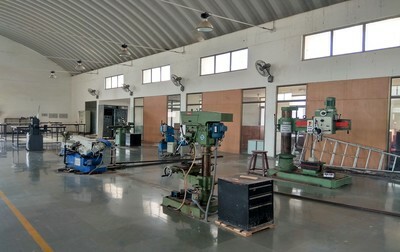 Manufacturing Processes – II laboratory is well equipped with instruments like Spot Welding Machine, Arc Welding Machine, TIG Welding Machine, MIG Welding Machine, Soldering & Brazing Set, Oxy-acetylene Welding Machine etc. 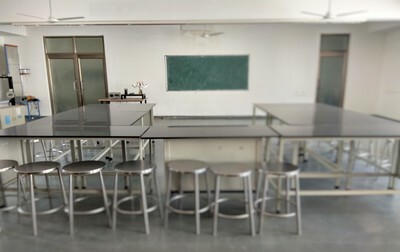 to perform different practical in the area of welding technology. 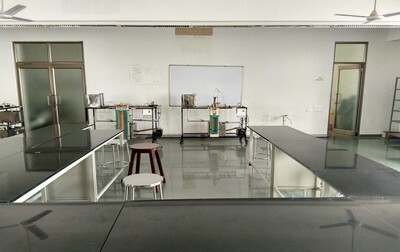 The Laboratory deals with balancing of mechanisms, torsional and bending vibrations, vibration isolation, and the dynamic behaviour of drives and machine frames as complex systems using static and dynamic balancing apparatus, whirling of shaft apparatus and universal vibration apparatus. 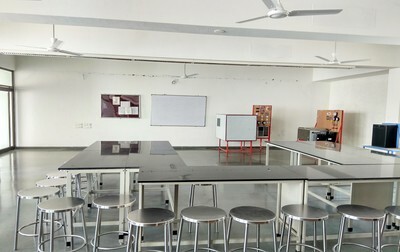 The laboratory is designed to carry out experiments on vibrations. 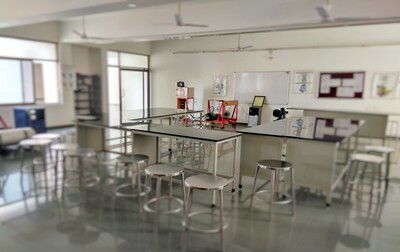 It helps students to understand structural behaviour imposed by dynamic loads. 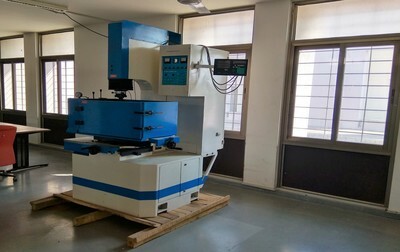 High Frequency Shake Table with Model is available in the laboratory. Shri. Krunal Patel and Prof. Ravi Upadhyai organized three days workshop on "Entrepreneurship Awareness Camp - 2018" at GPERI on March 23 to 25, 2018. Prof. Ravi Upadhyai organized One Day Workshop on "ATV and F1 manufacturing and design" at GPERI on March 7, 2017. Prof. Rahul Patel has organized One Week STTP on "Advance Simulation Process and Solution" at GPERI from JUNE 12-16, 2017. Prof. Vinay Kumar, Prof. Bhargav Pandya and Prof. Ravi Upadhyai organized GUJCOST Sponsored Two Days Seminar on "Policy Planning and Potential of Renewable Energy in India" on march 23-24, 2018. 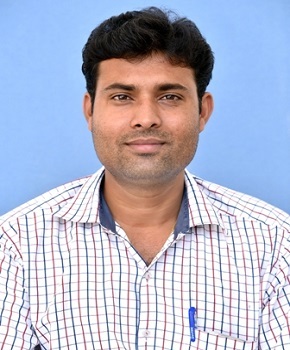 Dr. Hitesh Panchal has organized Gujcost Sponsored One Day Seminar on "Emerging Trends in Concentrated Solar Technologies" at Gujarat Power Engineering and Research Institute, Mehsana on July 5, 2015. Dr. Hitesh Panchal has organized Gujcost Sponsored One Day Seminar on "Futuristic Innovations on Solar Energy" at Gujarat Power Engineering and Research Institute, Mehsana on December 20, 2014. Dr. Hitesh Panchal has organized GEDA Sponsored One Day Workshop on "Energy Conservation Awareness" at Gujarat Power Engineering & Research Institute, Mehsana on August 20, 2014. Dr. Hitesh Panchal has organized Gujcost Sponsored One Day Seminar on "Solar Energy Applications in Present Era" at Gujarat Power Engineering and Research Institute, Mehsana on August 31, 2013. Dr. Hitesh Panchal has organized GUJCOST Sponsored One Day Seminar on "Solar Energy Technologies" at Gujarat Power Engineering & Research Institute, Mehsana on April 6, 2013. OIL AND GAS INDUSTRY PROJECTS AND LIFE CYCLE , 12 FEB 2018 by Mr.MEHUL PANDYA,ASSOCIATE MANAGER ADANI ENTERPRISE. ENERGY AND FUEL SAVING TIPS,09 FEB 2018 by Mr.CHIRAG CHAUHAN ,ENERGY AUDITOR. Prof. Hitesh Patel organized one expert session by Dr. Vimal Savsani on topic of "Design philosophy and its application”, for Sem. IV on date 17/04/2015. Prof. Hitesh Patel organized one expert session by Prof. Poonam Savsani on topic of “ Design of Pressure Vessels ”, for Sem. V on date 19/09/2014. Prof. Hitesh Patel organized one expert session by Dr. Vimal Savsani on topic of "Gears and Gear Trains", for Sem. III on date 19/09/2014. Prof. Girish Patel organized Dr. Hitesh Panchal organized one expert session by Dr. Vishwesh Badheka on topic of "Open Ended Problems in Material Science and Metallurgy", for Sem. III on date 42348. Dr. Hitesh Panchal organized one expert session by Dr. Sanjay Behura on topic of " Advances on Graphene based solar cells", for Sem. III on date 30/08/2014. 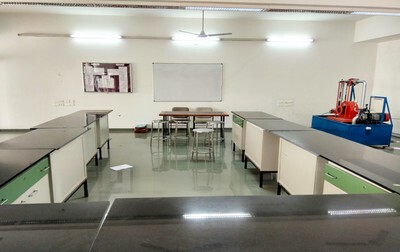 Dr. Hitesh Panchal organized one expert session by Dr. Vishwesh Badheka on topic of "Open Ended Problems in Material Science and Metallurgy", for Sem. III on date 41859. Prof. Rakesh A. Oza organized one expert session by Dr. Divyang H. Pandya on topic of "Design of Gear Box", for Sem. VIII on date 31/03/2016. Prof. Rakesh A. Oza organized one expert session by Dr. Bhavesh Patel on topic of “Dynamics of Vibration” , for Sem. VI on date 42280. 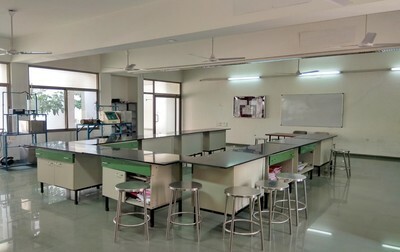 Prof. Rakesh A. Oza organized one expert session by Dr. Divyang H. Pandya on topic of "Computer Aided Production Management", for Sem. VII on date 29/09/2014. 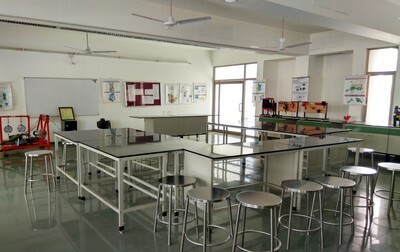 Prof Alpesh v joshi organized one expert session by Dr. Divyang H. Pandya on topic of "Synthesis of Mechanisms", for Sem. V on date 29/09/2014. Prof Alpesh v joshi organized one expert session by Mr Alpesh Patel (khodiyar infotech) on topic of "CAD tool and parameteric representation ", for Sem. VI on date 23/4/2015. 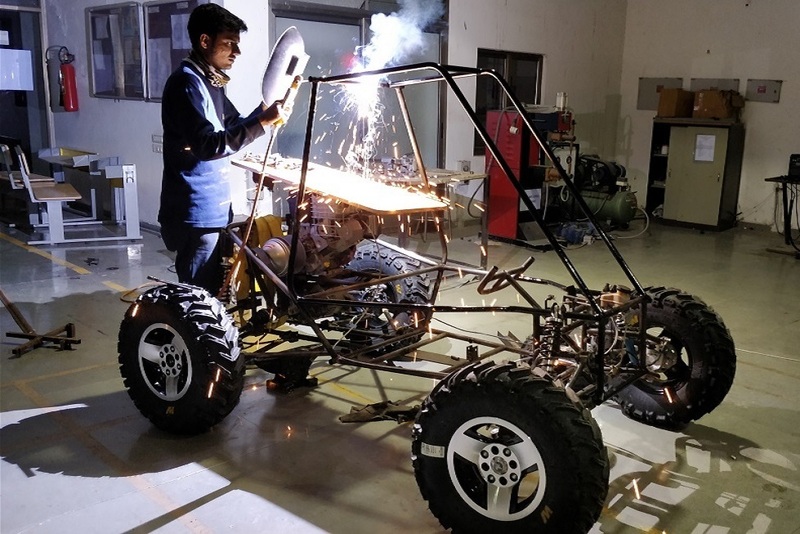 SAEINDIA is an affiliate society of SAE International, registered as an Indian nonprofit engineering and scientific society dedicated to the advancement of mobility community in India. There are multiple dynamic events, usually four per event, as well as a single four-hour endurance race. The dynamic events include hill climbs, sledge pulls, manoeuvrability events, rock crawls, and suspension & traction events. SAE GPERI Collegiate club is fully funded by GPERI. 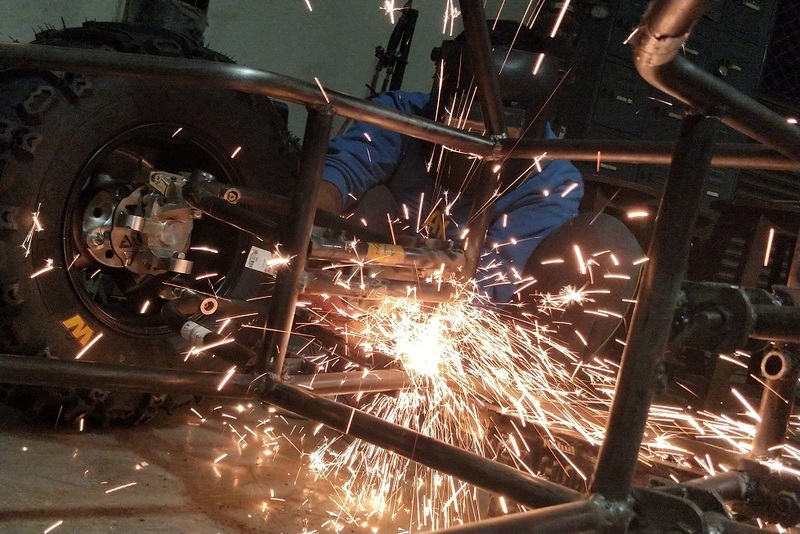 GPERI provides project grant required for manufacturing of ATV (All Terrain Vehicle). 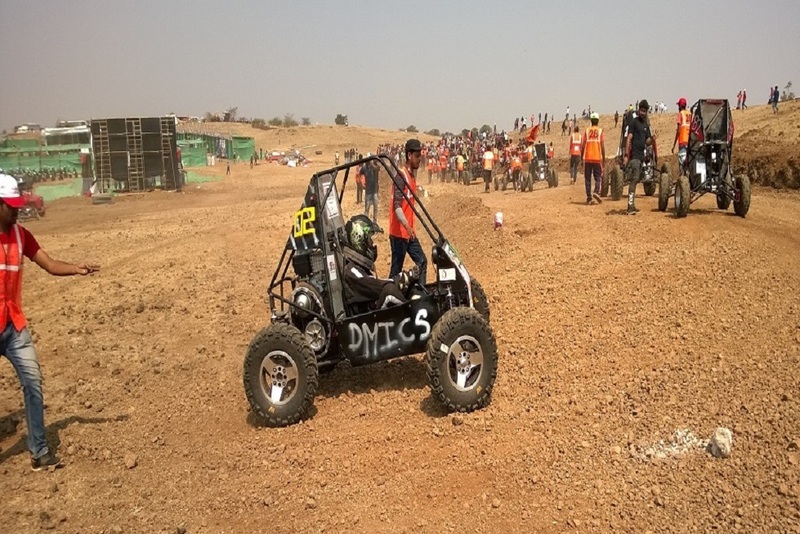 SAE GPERI Collegiate club has participated first time in Virtual BAJA 2018 at Chitkara University, Chandigarh and MEGA ATV Championship held at Nasik. SAE GPERI Collegiate club achieved 50th rank out of 75 in Mega ATV Championship. Following is the committee list of SAE GPERI Collegiate club. Department of Mechanical Engineering has established ISHRAE GPERI student chapter in October 2016. 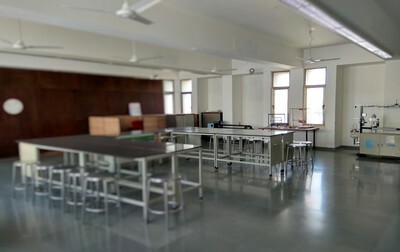 The purpose of an ISHRAE student chapter is to get more students interested, concerned, and involved in pursuing a career in the field of heating, ventilating, air conditioning and refrigeration. 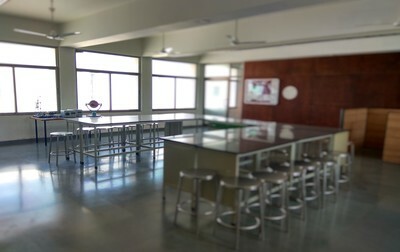 ISHRAE student chapter activities are administered by students as elected officers which provide students with an experience that simulates running a business or an organization. As a student officer, you'll "set yourself apart from the pack" and increase your visibility to recruiters. By networking with your local ISHRAE Chapter, you will have an opportunity to meet practicing engineers in the HVAC industry. Student officers are counseled by the college Faculty Advisor but may also be mentored by members of their local ISHRAE CWC Student chair. Even if your career is ultimately in another industry, your involvement with the ISHRAE Student Chapter will be an invaluable transferable experience. 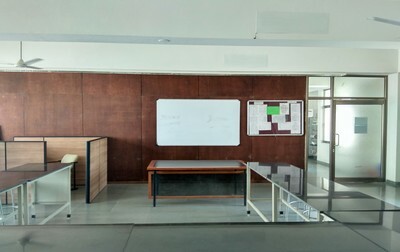 You may also choose to get involved in one of the students activities such as ACREX Quiz, National Student Design Competition, Technical Paper Presentation etc, which will be one of the most memorable experiences of your life. In addition to having fun and meeting great friends, these competitions provide an exceptional engineering experience and allow you to apply your coursework in a real-world application. 1. 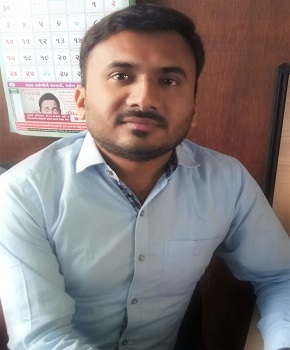 Mr. Sumit Bhatt is placed at Suvidha Engineers Pvt. Ltd.
2. Mr. Aakarsh Modi , Mr. Ravi Patel and Mr. Pinak Patel have been sponsored by ISHRAE Ahmedabad Chapter to attend ACREX 2017 and 2018 at New Delhi and Banglore. 3. Under the guidance of Prof. Bhargav and Prof. Vinay ISHRAE GPERI Student Chapter has acquired research grant of INR. 46500 on the project entitled as "An experimental study on defrost heaters applied to frost-free household refrigerators"